May 31, 2018 – A lot going on!!! We signed up for the Saugerties Artists Studio Tour this year, there are a lot of events for the public to participate in, please visit www.saugertiesarttour.com for more info, that site is in the process of being updated constantly, so please visit it more than once! Hudson Valley Silverworks, Raychel Wengenroth’s remarkable and wonderful teaching studio is a great place to learn metalsmithing and a variety of techniques. We are teaching a weekend workshop in August about “Fun with the Hydraulic Press”. Stay tuned for more info, and be sure to visit Raychel’s site at www.hvsilverworks.com. Here is an example of a pair of earrings textured with the hydraulic press. 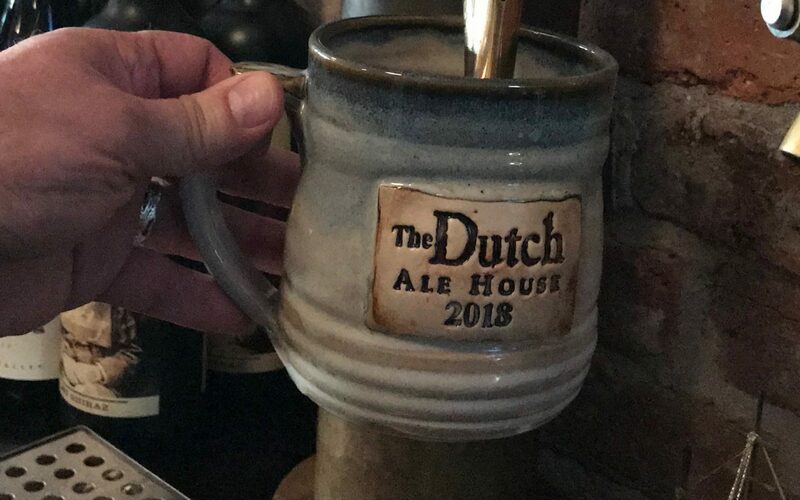 I will soon be posting photos illustrating the process of creating the Dutch Ale House beer mugs. My friend and neighbor Stacey Estrella of Humanifesto Studios is an incredibly talented photographer, and she is working on a delicious portfolio for us. Stay tuned for more updates, and thanks for visiting our website!!! Please be patient with this new website. We are working very hard to make it user friendly. Thanks for visiting!! !